New assistant hitting coach Luis Natera was spotted wearing No. 60 prior to Monday’s harrowing debut. Natera has appeared on these pages before: Back in 2008, he was issued No. 64 (unofficially) when he served as a coaching version of a September callup from Class AA Binghamton. As usual, the readership came through solving a Met Mystery with speed and precision. The Met wearing No. 64 pictured in the below post and here on the left was and is Luis Natera, a current Binghamton Mets coach and a former Mets DSL manager who earned the coaching version of a September callup this year while looking over former pupils such as Dan Murphy and Nick Evans. As detailed in the comments below, reader C.M. even provided a link explaining the circumstances while perennial MBTN All-Star Jason provided Natera’s page in the Media guide, adding some baseball to the first non-baseball day of our winter. I don’t plan to too inactive here this off-season. 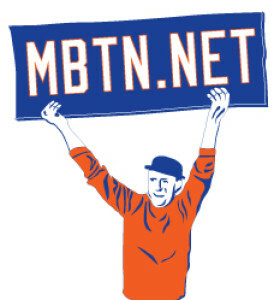 I’ve got a few projects underway to beef up the player and number content, and as always we’ll be on top of the hot stove with opinions and wild speculation as MBTN approaches its 10th birthday. Wow!